I mentioned last week that I got a new crockpot I’m obsessed with. I’ve used it almost every day! I’m not even kidding. Please send me any crockpot recipes you recommend. Since I’m still figuring out exactly how to use my crockpot, I’ve been sticking to simple recipes, mostly stews and such. This weekend, I decided to try making a chili and boy was it the perfect idea. My chili was cooking as the first snowfall fell in Baltimore and I sat nestled on my couch watching Gossip Girl after mass. I know what you’re thinking: #perfectSunday, amiright? This chili recipe was so easy to make that I knew I just had to pass it on. I added some Banza, which I’ve shared about before here, to it as a last minute impulse decision and I am so proud of myself. If you follow my personal twitter (here), you may have noticed that I’ve been tweeting about my cooking abilities getting better- more than just chicken on spinach- and this was definitely one of those meals that reaffirmed that. This recipe was potentially the easiest thing I’ve made for the deliciousness it had! The ROI on time was definitely there, haha. This recipe was so easy that it doesn’t even merit making a “recipe” for it. Wasn’t that easy? All I did was open cans that were already in my pantry, give them a good mix, and pop them in my crockpot for a couple of hours. I cooked the Banza, as per the instructions on the box, right as I was getting ready to eat. 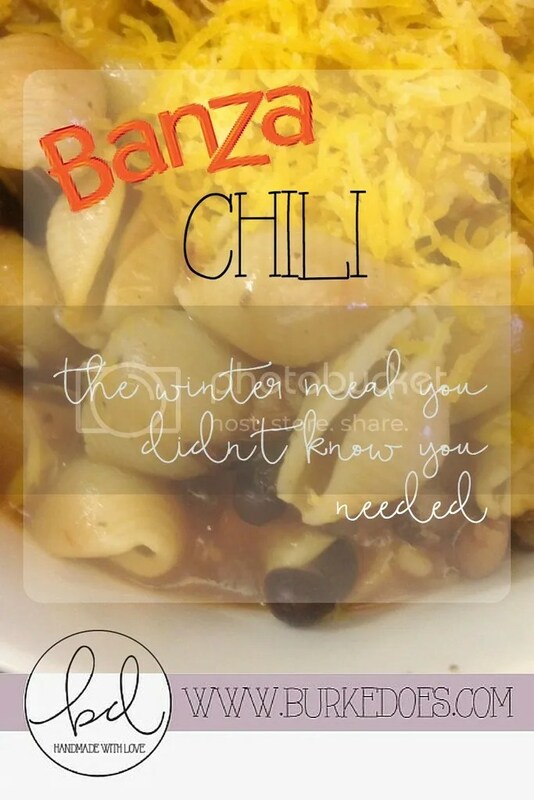 The Banza was the perfect addition to the chili because of the body it added. I added cheese to the bowl as I finished and I have to say I was really proud about how this came out. 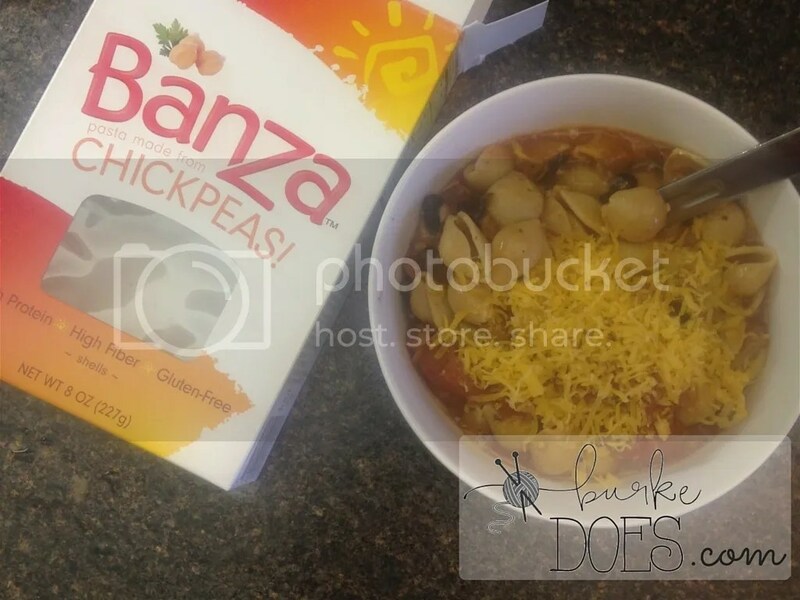 One of the perks of Banza is that it has all the great pasta flavor with half the carbs and double the protein! They’ve even been named one of Times’ Best Inventions of 2015 and their founder, who shares my fellowship (that I discussed here), was one of Forbes’ 2016 30 Under 30! And, as icing on the cake, I have a $10 coupon special for you here! If you decide you want to try Banza for yourself (and I really hope you do! ), here is a $10 referral code. 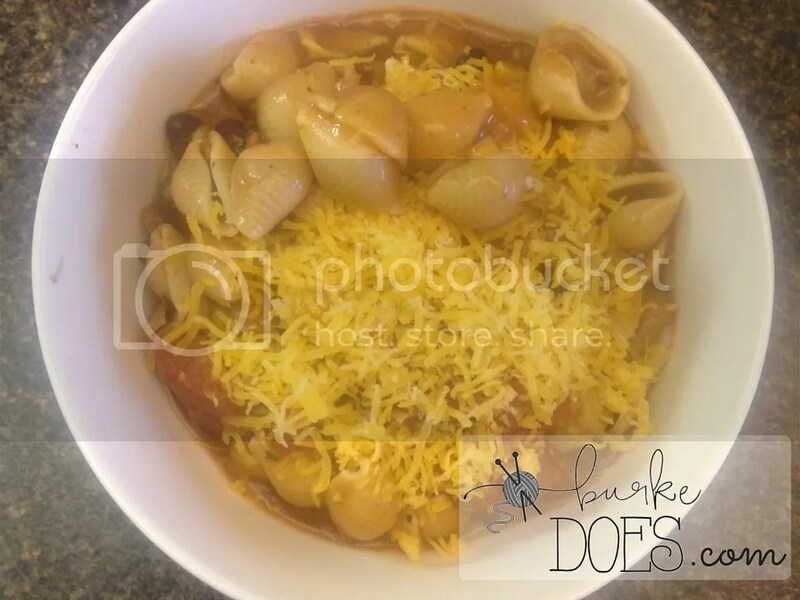 Make sure to save this crazy-easy recipe by pinning the image below! If you’d like to win a case of Banza to try for yourself, enter the giveaway on Jebbica’s World here.